Here are some photos of a Lookout job in the summer of 2000. All photos are by and courtesy of Travis Berryman. The eastbound Lookout job near Milepost 16, between Camp No. 2 and White Horse. The Scarface fire burned through this area in the late 1970's. 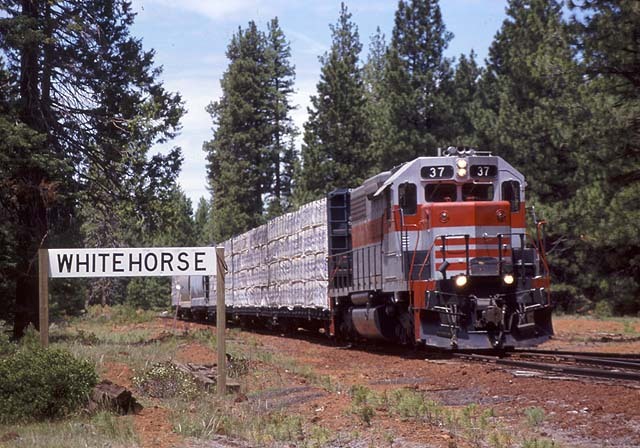 The eastbound rolling through White Horse. 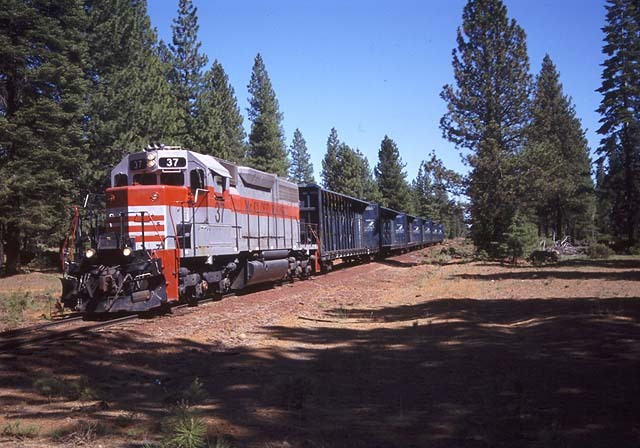 The train has completed spotting loads and collecting empties from the Lookout Junction yard and has started its westward journey back to McCloud. 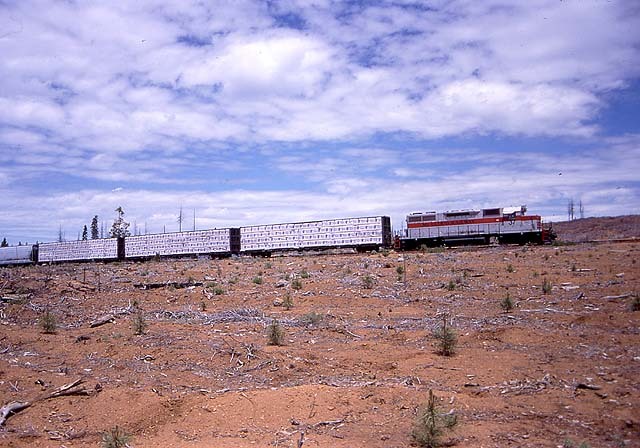 The train is seen here near M.P. 13. 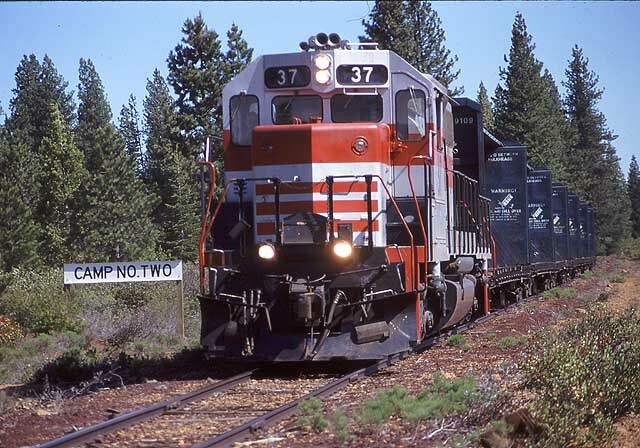 The westbound train at Camp No. 2. 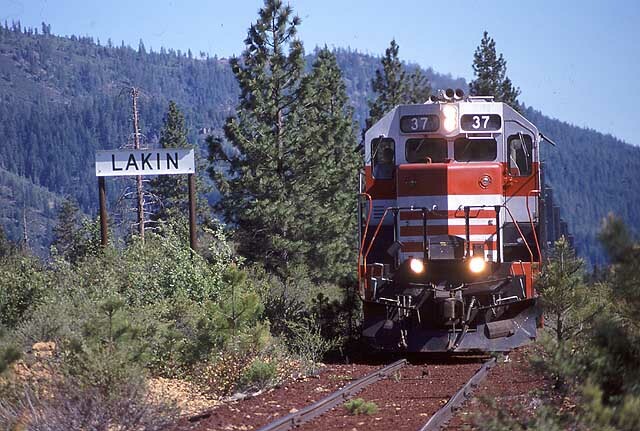 One final shot of the westbound train at Lakin.